Tentative Release Date: December 17, 2017. This week's #Friday56 is a book that won't be released until later this year. I am intrigued....thanks for sharing. Those excerpts are good, and I love the cover. Trust you enjoy it. It's great to get a good ARC. What an absolutely gorgeous cover. Hope you enjoy and have a wonderful weekend! The tub? That sure has me curious. And I wonder about those brakes. This gets curiouser and curiouser. Have a lovely weekend, Freda. My word, why is she being escorted to the tub?! You have me very curious about this Beauty and the Beast retelling. OK - "proceed to the tub" sounds pretty intriguing! And I love the cover, so I might have to look for this one. Thanks for sharing, and happy reading! Always a little nerve wracking if you don't feel like your brakes aren't going to do what you tell them! Love the sound of this and the cover. 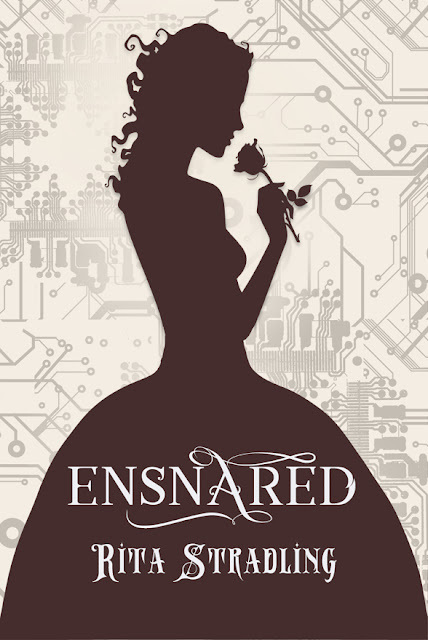 I have a copy of Ensnared. It's second from the top in my tbr pile, so I hope to start it in about a week. I loved this book! I usually wait to read them closer to the release date, but I love Beauty and the Beast retellings so I couldn't hold back from this one.